Aristotle bag promised to deliver all merchandises within 3-7 working days (Excluding public holidays) after the money transfer has been notified. Aristotle bag only use Express Mail Service (EMS) system to deliver the merchandises within Thailand to ensure the customers with safety, haste, and Tracking information. 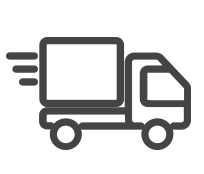 The customers will be informed with a Tracking Number through E-mail, which can be used to track the parcel once it has left the warehouse. In the case where there’s no receiver when your parcel arrived, the postman will leave invoice letter at the delivered address. The customers can use the invoice letter to inquire for your parcel at the post office informed in the letter, within 7 days. If exceeding the 7 days mark, the parcel will be returned to Aristotle bag. In circumstance of the previous cases mentioned, with addictions of incorrect and inaccurate address or the post office returns the parcel, in any case of no receivers present to pick up the parcel, The customers will be responsible for the delivery charge again.